Your blood type is as fundamental as your eye color, determined by genes and equally unchangeable. 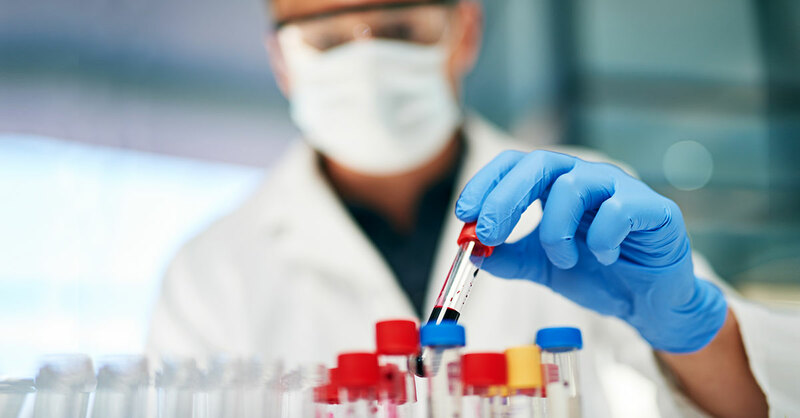 But while you may have learned long ago which of the four principal blood types you possess—A, B, AB or O—mounting evidence suggests that your specific type may actually influence your health risks. Scientists first began theorizing about the links between blood type and disease risks decades ago, but now the research is stacking up. An increasing body of evidence shows that people with certain blood types do, in fact, have higher odds of developing an array of common medical conditions, including heart attack, stroke and other serious health problems. To be clear, no specific blood type causes a health problem to develop—researchers have uncovered an association, meaning that some medical conditions are more likely to occur in people with certain blood types. When it comes to health risks, type O appears to be the least hazardous. 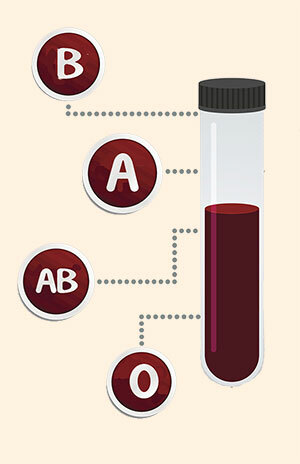 Non-O blood types—that is, A, B or AB—are linked to higher risks for certain health problems. So what is it about these blood types that leads to greater health risks? It’s not the blood type itself that’s the problem…it’s the enzymes associated with non-O blood types that affect other substances in the body known as clotting factors. Type AB, in particular, appears to have the highest clotting potential, meaning it sometimes clots when it shouldn’t. Non-O blood also tends to have higher levels of proteins called cellular adhesion molecules that can serve as a “glue” between cells in the inner lining of blood vessels, effectively trapping white blood cells as they stream by. When white blood cells burrow under the inner lining of blood vessels, they promote the kind of inflammation that’s considered a hallmark of atherosclerosis (narrowed arteries that can wreak havoc in the brain, heart or other key areas) or even form a dangerous blood clot. • Blood clots. People with non-O blood types experience, on average, 60% to 80% higher risks for clotting problems such as deep vein thrombosis (DVT) and pulmonary embolism (PE), according to a sweeping 2016 review published in WIREs Systems Biology and Medicine. With DVT and PE, blood clots form in the legs and can break off and travel to the lungs in a devastating fashion. Together, these conditions kill up to 100,000 Americans yearly. • Heart attack and stroke. In an analysis of more than 1.3 million people presented at the professional meeting Heart Failure 2017 and the 4th World Congress on Acute Heart Failure, researchers found that those with non-O blood types had, on average, a 9% higher risk of experiencing a heart attack or stroke. Dutch scientists uncovered the association after reviewing 11 different populations from nine individual studies. People with type A, in particular, tend to have higher cholesterol than other blood types, a significant risk factor for coronary events. • Memory problems. People with blood type AB were 82% more likely than those with other blood types to develop precursors to dementia such as thinking and memory impairments, according to 2014 University of Vermont research examining more than 30,000 people and published in Neurology. While AB is the least common blood type, found in only about 4% of Americans, those with this blood type comprised 6% of the group who developed cognitive ­issues, compared with 4% of study participants with other blood types. • Cancer. When it comes to cancer risk, for unknown reasons, type A individuals are 20% more likely to develop a stomach malignancy than those with type O blood, according to research published in American Journal of Epidemiology. On the flip side, people with type O blood are significantly more likely to be hospitalized with peptic ulcers than those with other blood types. • Traveler’s diarrhea. A type of E. coli infection commonly known as “traveler’s diarrhea” strikes people with type A or AB blood more severely than those with other blood types, a 2018 study published in The Journal of Clinical Investigation has found. E. coli, which leads to millions of cases of diarrhea and kills several hundred thousand people worldwide every year, comes in various strains. Using data from 106 people, scientists found that those with type A or AB blood were far more likely to get sicker—and sooner—than those with blood types B or O when exposed in a controlled setting to an E. coli strain associated with traveler’s diarrhea. It’s believed that the nasty bacteria thrive better in the intestinal cells of people with type A blood. If you’re wondering what all this means, it depends on who you ask. For scientists, the holy grail would be to come up with specific prevention strategies based on individual risks found among those with certain blood types. That’s being worked on…but it will likely require years of additional research to achieve such a personalized approach. • Get serious about a healthy lifestyle. This is important for ­everyone. But those with non-O blood types would be wise to adopt the healthy habits that all of us should already be practicing. This includes being physically active…maintaining a healthy body weight…not smoking…and eating a plant-focused, nutrient-dense diet. This matters even more to non-Os, since many blood type-­related diseases impact blood vessel function, the mainstay of heart and brain health, both of which can be protected by a healthy lifestyle. • Know your numbers. Routine screenings with your primary care physician provide a veritable smorgasbord of numbers and blood biomarker levels that you should carefully consider—especially in light of your blood type. These include blood pressure (aim for a reading no higher than 120/80 mm/Hg)…cholesterol levels (total should be 125 mg/dL to 200 mg/dL and LDL “bad” cholesterol less than 100 mg/dL)…and glucose levels (fasting level of less than 100 mg/dL), since diabetes is also a major risk factor for cardiovascular problems. People with non-O blood type should keep an extra close eye on these numbers. • Speak up! Talk to your doctor about what you’ve learned regarding your blood type and specific health risks. If you also have a family history that adds to your risk, you’ll want to work aggressively to minimize your odds of developing that condition. The blood is made up of components, including red and white blood cells, platelets and plasma, that help transport oxygen, fight off invaders and form clots in ­response to injury. One’s individual blood type is determined by the surface marker, or antigen, it carries (A, B or A and B) on red blood cells—or, in the case of type O, does not carry. And the type we have is based on genetics. Type O is the most common, present in about 57%, 50% and 45% of the Hispanic, Black and Caucasian populations, respectively, in the US. If you don’t know your blood type, ask your doctor. If it’s not already in your file, it’s easily determined by a simple blood test.